Avendus Capital advises TechProcess on its acquisition by Ingenico Group. TechProcess Payment Services Ltd., India’s leading online and mobile payment services provider has been 100% acquired by Ingenico Group, a USD 5 billion global payments leader. With this transaction, all existing shareholders of TechProcess (major global and Indian investors) will exit the company. The parties had signed definitive agreements end of January and the transaction closed this week. Avendus Capital was the exclusive financial advisor to TechProcess and its shareholders for this transaction. 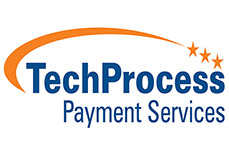 TechProcess has developed best-in class offerings in several payments markets where it built leading positions, especially in online payments gateway, NACH, bill payments, and mobile payments. These services rely on a strong network of connections with leading Indian banks for acquiring and net-banking integration. This marked the 20th successful transaction closure for Avendus in the payments and fin-tech space in India. The Avendus Group (Avendus) is a leading provider of financial services with an emphasis on customized solutions in the areas of financial advisory, structured credit solutions, wealth management and alternative asset management. Avendus relies on its extensive experience, in-depth domain understanding and knowledge of the regulatory environment, to offer customized solutions that enable clients to meet their strategic aspirations. Avendus has been consistently ranked among the leading financial advisors by overall number of deals. In CY2016, the firm was amongst the top four financial advisors by overall number of deals in India (as per Mergermarket). It has a strong track record of cross-border transactions and has helped multiple clients benefit from opportunities across geographies. Avendus’s wide range of clients is testimony to its ability to serve its corporate clients throughout their life cycle – from growth stage funding to complex, large sized transactions later in the cycle.